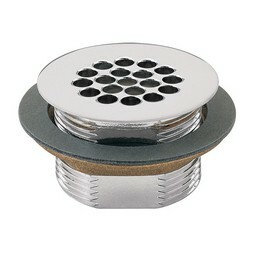 Polished chrome-plated vandal-resistant waste strainer with anti-airlock draining feature. Model 6463PCP is a polished chrome-plated vandal-resistant waste strainer with anti-airlock draining feature. Includes fiber washer and locknut, 1-1/2" NPS. Used on the 1000 series type bowls.